Marvel Entertainment, publisher of the most famous Super Heroes in the world -- Spider-Man, Captain America, Iron Man, Black Widow, and more, today join forces with Italian publisher, Panini Comics, to launch a vast library of digital Marvel collections and trades individually in French, German, and Italian. 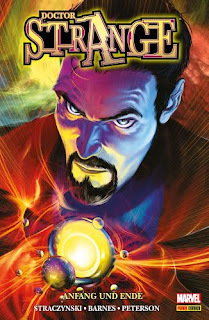 Available on tablets, smartphones, and mobile devices, Panini will launch their translated Marvel trades across the world. The inaugural Marvel and Panini launch catalogue will feature over one hundred Marvel collections which will include some of Marvel’s greatest titles like Civil War, Avengers, Ms. Marvel, Deadpool, and more! Additional Marvel trades are planned to be added each month to offer an even more immersive deep-dive into the Marvel Universe. “The arrival of the Marvel titles in a digital format has been a long time coming…. It’s probably one of the most anticipated e-book launches ever in our markets --- we are proud to have made this happen and to be able to bring the Marvel experience in French, German, and Italian to brand new platforms.” says Panini Publishing Director Marco Lupoi. Marvel digital trades, translated by Panini, are now available through comiXology, Amazon Kindle, Google Play Books, Apple iBooks, Kobo, and more.